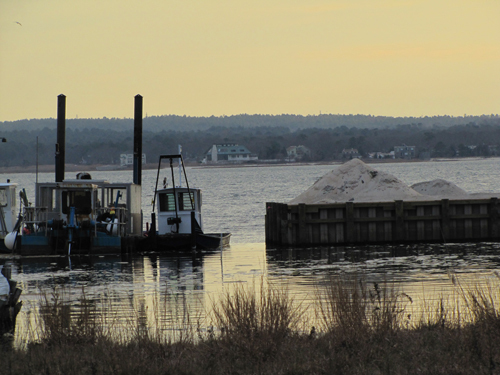 It took about 11 years, but Cases Creek in Aquebogue has finally been dredged. BARBARAELLEN KOCH PHOTO | The former Dreamer’s Cove motel in Aquebogue will reopen later this summer as The Cove Place Inn. The new owners of the Dreamer’s Cove motel on Peconic Bay Boulevard in Aquebogue have been renovating and refurbishing the motel and say it will reopen as the Cove Place Inn sometime in August. The motel had been in foreclosure proceedings launched by Flushing Savings Bank, which took ownership of the motel from its previous owners on Nov. 28 and which sold it to Cove Place LLC for a reported $1.42 million. The motel has 18 rooms and sits on a 150-foot stretch of beach along Peconic Bay. The new owners say the rooms will range from $199 to $349 per night, once it reopens, and that all rooms will have kitchenettes, private decks, water views, direct beach access, cable TV, flat screen TVs, iPod docks, wireless high-speed Internet, in-room coffee makers and private bathrooms, according to the release. Neighbors say the new owners have been working feverishly since acquiring the site. “They are doing a nice job,” said neighbor Jack Hansen. Mr. Hansen and others have expressed concern in the past about a dilapidated bulkhead on the Dreamer’s Cove property, along Cases Creek. The condition of that bulkhead has led Suffolk County to back out of plans to dredge Cases Creek for fear that the bulkhead could collapse during the job and the county could be held liable. Riverhead Town officials also didn’t want to get involved in the dredging project for fear of liability in the event of a bulkhead collapse. Because of this, officials say, the creek hasn’t been dredged in about seven years and its mouth is now filled with sand, making it difficult for boats to get in and out of the creek.